TeleCom Business Solutions provides communication solutions for small business to enterprise level corporations. 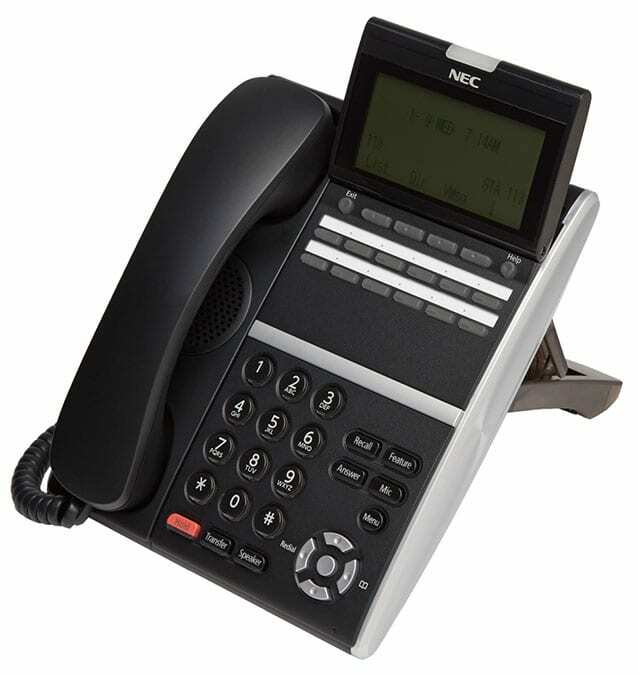 Specializing in Zultys MX and NEC SV9100 Business Telephone Systems. We offer Virtual Phone Systems, Hosted solutions, Infrastructure Cabling and Security Camera installation. Serving York, Lancaster, Harrisburg, Camp Hill, Mechanicsburg, Gettysburg, Hanover and surrounding areas. Call for more information. Looking for solutions to your business communication? TeleCom Business Solutions can share how the latest in telephony applications can prove to be a significant help to increase the efficiency of your communication needs. We offer Virtual Phone Systems, Hosted solutions, Infrastructure Cabling and Security Camera installation. Specializing in Zultys MX and NEC SV9100 Business Telephone Systems we proudly serve York, Lancaster, Harrisburg, Camp Hill, Mechanicsburg, Gettysburg, Hanover and all surrounding areas. Zultys VoIP Telephone System combines voice calling, presence, instant messaging, faxing and more into a single appliance solution that lets you tailor your phone system to meet your requirements and connect all your employees into a single collaborative system. Sound Masking, on the other hand, is a low-cost option for creating acoustical environments that both reduce noise distractions and increase speech privacy. The UNIVERGE SV9100 is a robust, feature-rich, Unified Communication system that is ideal for small and medium-sized businesses. Each server is designed to help solve today’s communications challenges and is built with your migration path in mind, so you can scale your communications as your business grows. TeleCom Business Solutions sells and services new telephone and voice mail systems specializing in digital hybrid systems and VoIP systems. We design a system according to your business needs and install, program and train based on your requirements. We take pride in not just installing a system but helping you discover the best applications for your company’s needs. We sell, trouble-shoot and repair paging systems for office buildings and warehouses, which can integrate with intercom or phone systems. We install cables and speakers for business audio purposes including retail, offices and outside areas.Single Zone and Multi-Zone, Emergency Alerts, Announcements, Music in Different Zones. We install data network systems with CAT5e, CAT6 cable and fiber optic cabling for backbone installations, single-mode or multi-mode applications. We provide cable certification, wire mapping and cable test data printouts. Also point-to-point connections between buildings with our boring solution. For most any underground situation we have a solution that will provide minimal disruption to you. Wireless solutions are allowing businesses to streamline and improve operational efficiencies, expand customer service offerings, and increase flexibility for employees. TeleCom Business Solutions can help design and implement a secure and reliable wireless network for your business. TeleCom can install a complete HD IP Video Solution for your business. The Illustra Edge provides high quality IP camera, integrated video management system software and SD card storage included in one out-of-the-box ready solution. We simply mount the camera, connect to your powered network switch then view video from one location or hundreds of locations simultaneously. TeleCom Business Solutions offers products that will improve and enhance your communication. Headsets, Long Range Handsets, Music-on-Hold devices, Conferencing Solutions. Extras that will improve performance and make the most of your telephone system. Office Administrator Jackson’s Window Shoppe, Inc.
Office Administrator, Jackson's Window Shoppe, Inc.
Network Administrator Witmer Public Safety Group, Inc.
Network Administrator, Witmer Public Safety Group, Inc.